"The most important period of life is not the age of university studies, but the first one, the period from birth to the age of six. For this is the time when man’s intelligence itself, his greatest implement is being formed. At no other age has the child in greater need of intelligent help." 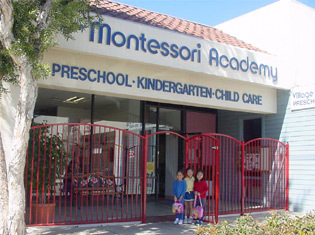 Village Montessori Academy, founded in 1986, offers the finest traditional Montessori environment for preschool and kindergarten children between the ages of two and six years of age. Quality and excellence are of utmost importance and are apparent in the physical atmosphere of the academy, the staff, the programs and the totally prepared environment of the child. 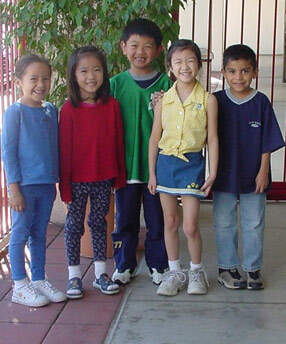 Serving the communities of Diamond Bar, Walnut, Chino Hills, Chino, Montclair, Phillips Ranch, Pomona, Claremont, San Dimas, La Verne, Via Verde, Rowland Heights, West Covina for preschool, kindergarten and Childcare.